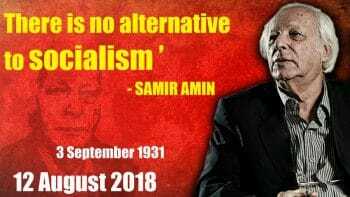 Amin in Delinking discusses the “Relevance of Maoism” where the China model of socialist construction is upheld as representing a consistent path from the Marxism of Marx to the application of the theory to Asia and Africa. Socialism in China has outlived that of the USSR, Eastern Europe and Yugoslavia. Today China’s role in Africa has drawn the ire of imperialism, which continues to covet its previous unhindered access to the underdeveloped and emerging markets. Most African leaders push back by pointing to the distinction of capitalist investment and the Chinese joint partnerships focusing on infrastructural and technological development. 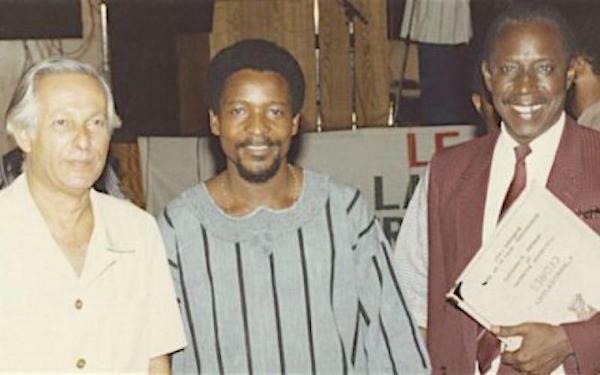 The idea of building a new organisation similar to the International of Workers and Peoples has been in the air for a few years. We need a structured organisation that will set objectives to our struggles and build concrete solidarity between our movements. Workers from every continent will have to be represented in the International so that unity in diversity is our major guideline. The question of popular sovereignty should not be evaded in our reflection on how to build the alliance of solidarities. It is in this context that we propose a meeting of reflection for the creation of new International Alliance of Workers and Peoples. This meeting could be held in Tunisia or any other Southern country accessible to delegates from around the world. The meeting will bring together activists representing movements, parties, unions, networks from all continents and regions. The following will be defined as regions: Latin America, Africa, North Africa and the Mediterranean, Western Europe, Eastern Europe, Asia, the United States and the Anglo-Saxon world. Nevertheless, the appeal from Amin is a viable one. The majority must be organized and united in order for the dangers facing humanity to be eliminated.